Available in 2 sizes, 240mm and 270mm high. 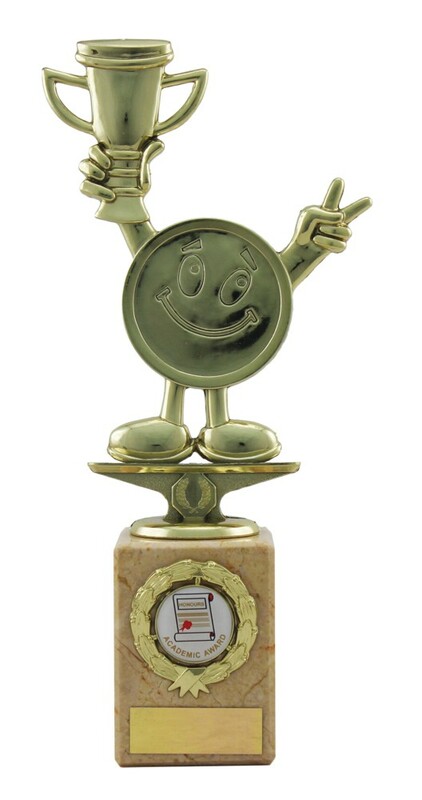 Gold plastic achievement figure mounted onto a solid heavy cream marble base with gold centre holder. Perfect multi sport awards for Academic Achievement and School Awards.